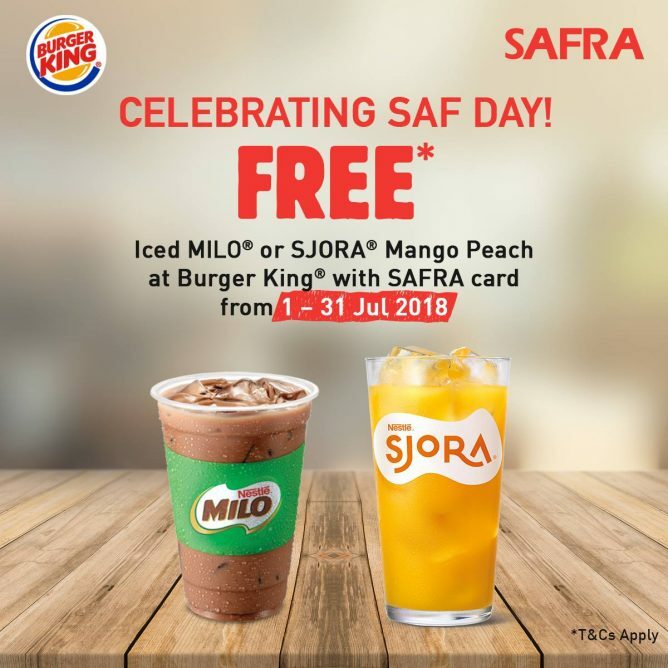 Home > Dining and Gourmet > Fast Food > Burger King: FREE Iced Milo® or SJORA® Mango Peach for SAFRA Members in July! 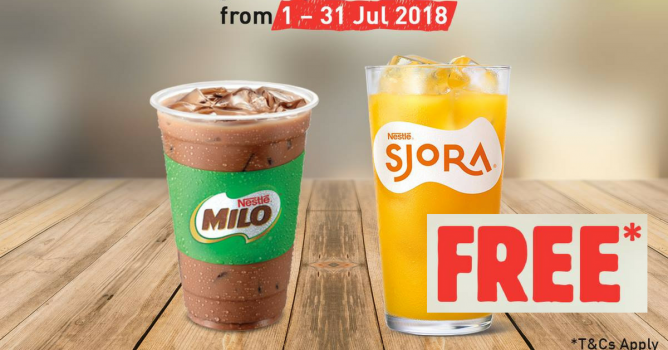 1 - 31 Jul 2018 Burger King: FREE Iced Milo® or SJORA® Mango Peach for SAFRA Members in July! SAFRA Members, enjoy FREE Iced Milo® or SJORA® Mango Peach on the house with any purchase when you flash your SAFRA card! T&Cs apply. One 16Oz cup with any purchase at all outlets. Redemption is only valid for dine in or takeaway orders with payment at cashier counter only. All promotions are valid on a first-come, first-served basis, while stocks last. Not valid with other promotions, privileges, discount cards and promotional vouchers, whichever is applicable. Previous: McDonald’s: NEW D24 Durian McFlurry® Now Available for a Limited Time Only!